Lockport gasoline averages rose by about a penny this week to $2.322 per gallon, according to AAA East Central’s weekly Gas Price Report. 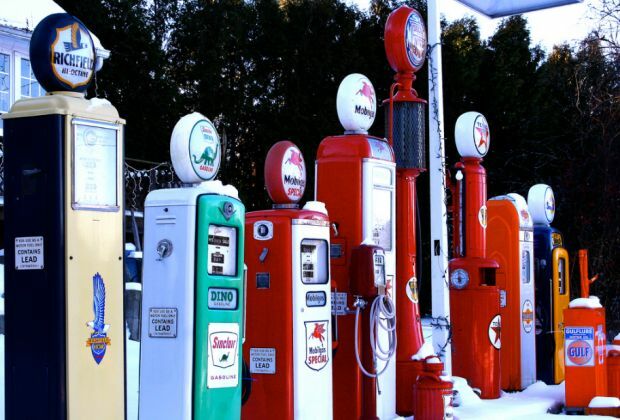 Gas prices across the Mid-Atlantic and Northeast region continue to join the pack of most expensive states in the country. Gasoline stocks decreased by 2.1 million barrels last week, according to the latest EIA report. That decline puts total supplies on hand more than 10 million barrels lower than levels this time last year. Tighter supplies and growing demand have put pressure on gas prices, leading to increases throughout the region. Today’s national average price of a gallon of regular unleaded gasoline is $2.32. The national average is at its highest price since June 15 and has now increased for 12 of the last 15 days. Pump prices in 47 states and Washington D.C. moved higher on the week, resulting from strong demand, rising exports and declining U.S. crude oil inventory levels. The price per barrel of crude continues to push higher, with West Texas Intermediate approaching the $50 line on Monday after increasing 67 cents to hit $49.71 on Friday. The rally comes amid news that OPEC and non-OPEC nations will meet next week to focus on why some countries participating in the production cut agreement, which is in place until the end of March 2018, are failing to meet their agreed targets. Compliance has become a major issue for the agreement, as rising production from OPEC and non-OPEC member countries has prevented the agreement from having a larger impact on rebalancing the global market. EIA reported a 7.2 million barrel drop in U.S. crude inventories for the week ending on July 21 – a much higher number than expected. However, according to Baker Hughes, Inc.’s latest rig count, the U.S. added 2 oil rigs, bringing the record-high total to 766. All of the news has given investors mixed signals on where the market is heading, putting greater pressure on OPEC to enhance compliance and reduce exports. The needle may move in favor of higher crude prices this week, which will contribute to rising gas prices. If crude prices continue to push upward, drivers are likely to see it reflected at the pump.